MalteseDP is a beautiful floor and wall collection by Florida Tile. Inspired by a traditional limestone look, with small characteristic pits and slight veining but with our own unique twist. 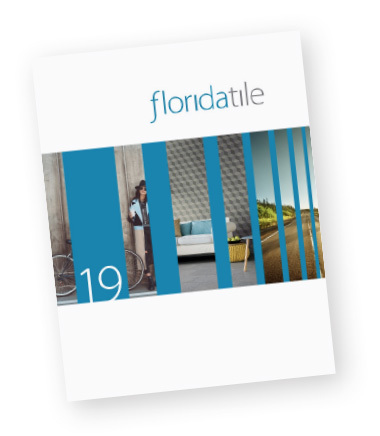 Using Florida Tile’s proprietary DP-Digital Printing technology we are able to create a superior natural stone look with the high shade variation and graphic resolution far beyond previous applications. With a nod to the modernist style of mid-century American Designers like Philip Johnson and Charles Eames, the minimalistic yet warm aesthetics of the MalteseDP make it the perfect backdrop for the style conscious. A versatile line, at home in a midwestern suburb, bank lobby, or boutique hotel the elegant look of limestone coordinates so well with any style. Three earthy colors are delivered in a smooth natural finish for the porcelain floor tiles and ceramic wall. Decorative accents include an arabesque styled listello, 25 piece mosaic and full floor and wall bullnose package. With the exception of select trim, decorative and ceramic pieces, this product line is Made in the USA of 40% pre-consumer recycled content, is GREENGUARD® and Porcelain Tile Certified, and meets the DCOF AcuTest® requirements to be installed in wet areas.